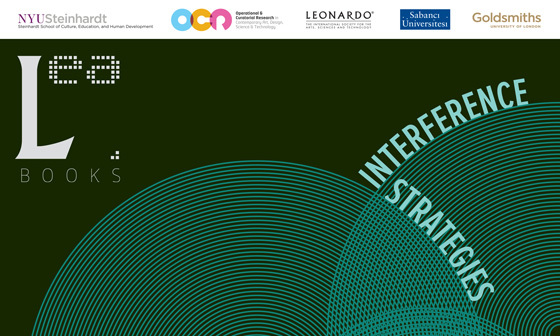 The theme of ”˜interference strategies for art’ reflects a literal merging of sources, an interplay be - tween factors, and acts as a metaphor for the interaction of art and science, the essence of transdisciplinary study. The revealing of metaphors for interference “that equates different and even ”˜incommensurable’ concepts can, therefore, be a very fruitful source of insight. ”  The role of the publication, as a vehicle to promote and encourage transdisciplinary research, is to question what fine art image-making is contributing to the current discourse on images. The publication brings together researchers, artists and cultural thinkers to speculate, contest and share their thoughts on the strategies for interference, at the intersection between art, science and culture, that form new dialogues. David Bohm and F. David Peat, Science, Order and Creativity (London: Routledge, 2000), 45.